The latest trend among car designers is to have clear covers over the indicator lights. The new SilverVision will round off the front design of your car: the cool and stylish look which car designers desire to produce with all-silvered headlamp module is taken to perfection by replacing the amber coloured indicator bulb with the new Philips SilverVision. Silver Vision produces an amber colour when lit and features a mirror surface when switched off. 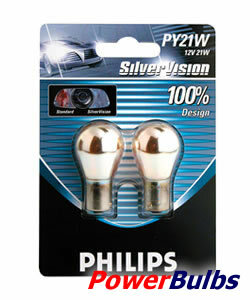 If your car has a orange/amber single function indicator bulb then the Philips Silver Vision bulb will fit. Fully interchangable with standard PY21W bulb. 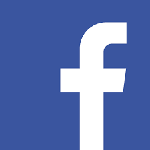 Complies with ECE regulations and is fully road legal.